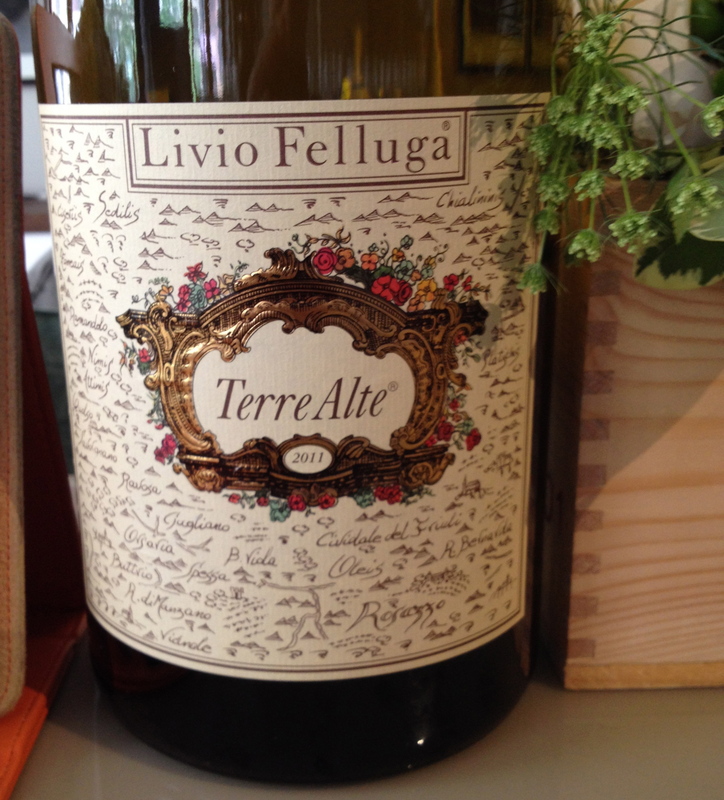 Terre Alte from Livio Felluga has been a favorite of mine since I first tasted it in the early 1980’s. 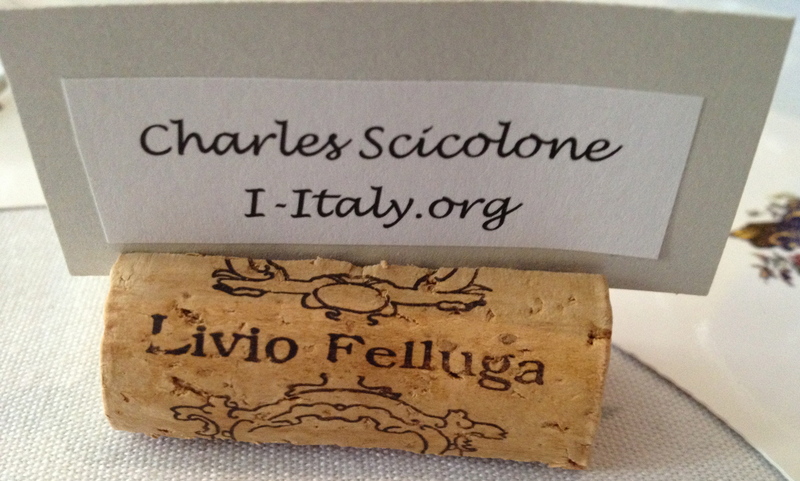 It is a wine that I describe as seductive and without a doubt one of the best white wines produced in Italy. Recently, I was invited to attend a vertical tasting of Terre Alte going back to 1997 featuring Andrea Felluga as the speaker. 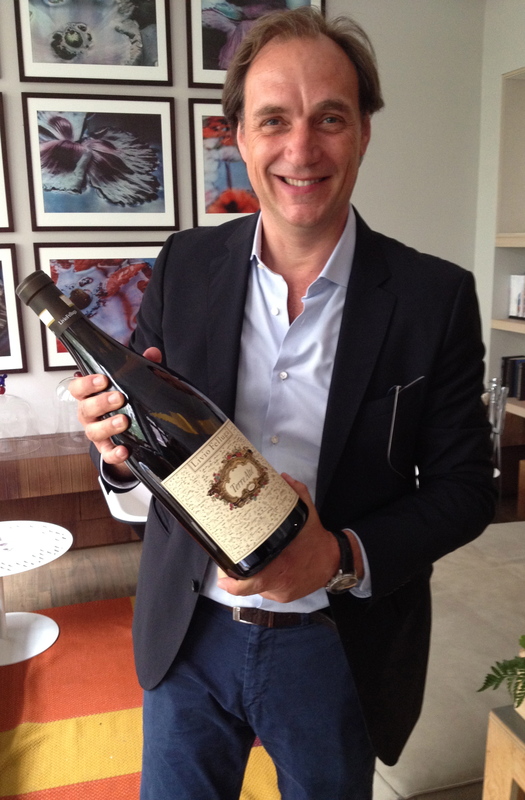 I have known Andrea Felluga since 1994 when I visited the winery. That was also the year that Livio, Andrea’s father handed over the winemaking duties to him. Andrea began by speaking about the history of Friuli-Venezia Giulia and of his family. Andrea said that his father was born in 1914 when the area was part of the Austro-Hungarian Empire. He explained how the shifting borders after WWI and WWII caused many problems. His family lost everything after WWII but Livio was able to remain on the Italian side of the border and start his winery. Livio is now 100 years old. Andrea told us that the “Map Label” on the wines was introduced in 1956 as a way for his father to pay tribute to the land and culture of Friuli. 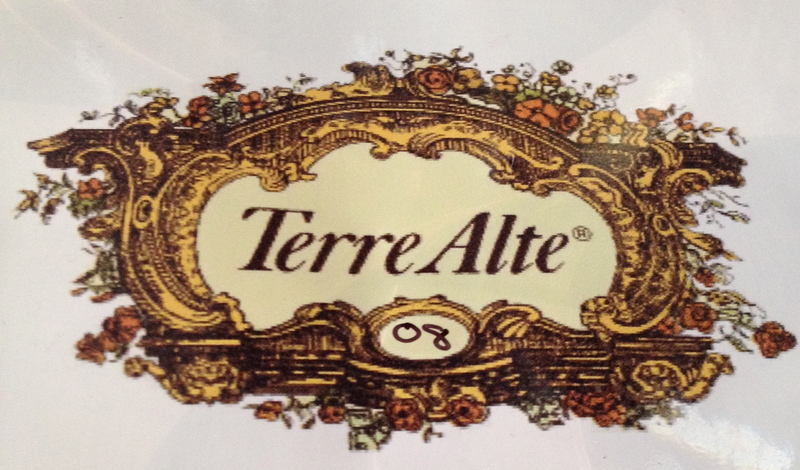 He described Terre Alte as an elegant, complex and “captivating” wine. Terre Alte in Italian means high ground. Terre Alte Collio Orientali del Friuli is a blend of estate grown grapes: Friulano, Pinot Bianco and Sauvignon Blanc from the vineyards in the Rosazzo zone. The soil is marl and sandstone and the training system is guyot. The bunches of grapes are carefully destemmed and left to macerate for a short period of time. Then the grapes were crushed. The must is then allowed to settle. Pinot Bianco and Sauvignon are fermented at controlled temperatures in stainless steel tanks. The Friulano is fermented and aged in small casks of French (no new oak is used) oak. The Pinot Bianco and Sauvignon matures in stainless steel tanks. After aging for ten months the wines are blended. The bottled wine is aged in temperature controlled binning cellars for 9 months before release. Andrea said that depending on the vintage one of the three grapes would assert itself. If Sauvignon Blanc dominates, the wine will have hints of sage, and grapefruit. In other vintages the Friulano prevails with notes of pear, peach and fresh almonds. There were also times when the floral notes of the Pinot Bianco took over and hints of orange blossoms and yeast stood out in the bouquet. Andrea said that freshness is a key attribute. Terre Alte expresses a unique composition of aromas, depending on its age, and either floral or fruity fragrances with notes of pastry and bread. For the more mature vintages straw and dried flowers can be present. 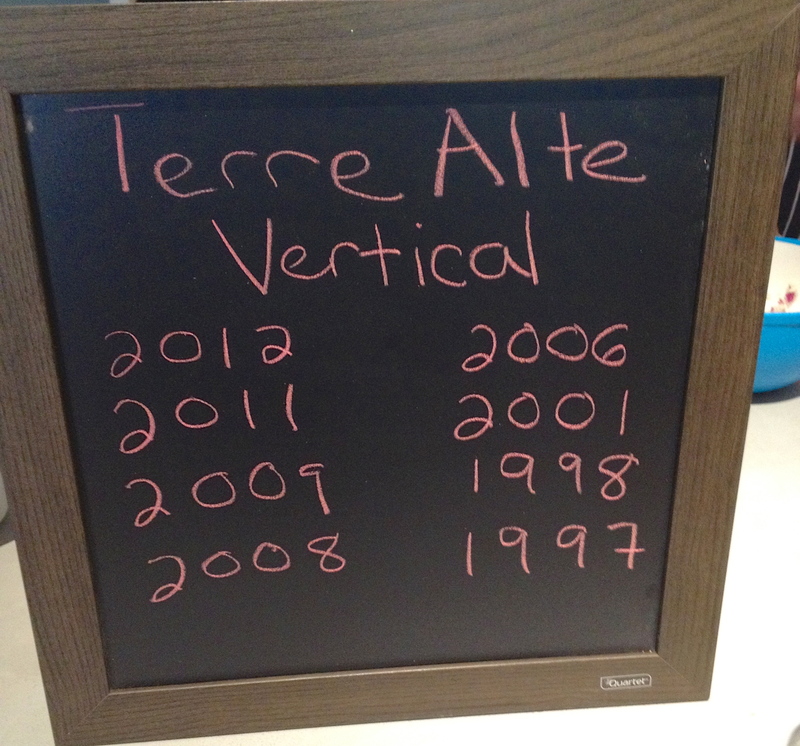 The first vintage of Terre Alte was in 1981. 2011 DOCG $80 Andrea did not think that this bottle was showing well and he said that it had notes of garlic. We tried another bottle and it was fine but it needs more time. 2009 DOC $160 Very balanced wine with ripe fruit, a touch of ginger, a great finish and wonderful aftertaste. 2008 DOC In this vintage the Friulano prevailed with the notes of pear, peach and fresh almonds. Sold out. This was my favorite wine of the tasting. Very well balanced, great depth of flavor, and very elegant. This is where the Pinot Bianco may have dominated with hints of orange blossoms and a touch of yeast. 1997 DOC Sold out of 750 but a there is a 3L at $1,650 This wine was beginning to show a little age, but still drinking very well,with hints of herbs, honey rosemary and nice fruit. Even though the Terre Alte may differ slightly vintage to vintage it still can be recognized as Terre Alte by its depth of flavor complexity and elegance.